Developed and published by Ice-Pick Lodge. Available on PC. 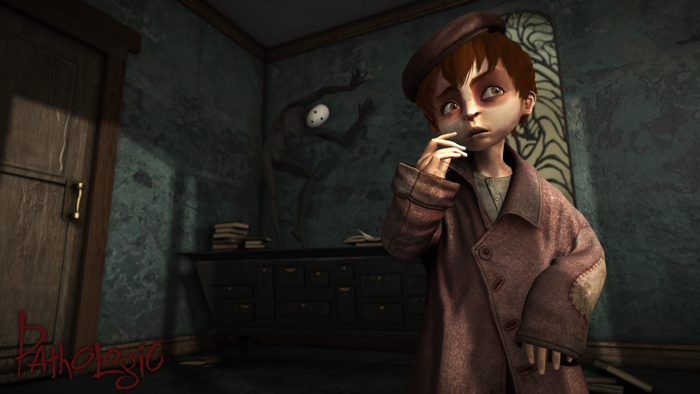 There's a good chance you haven't heard about the original Pathologic, a psychological horror game developed by Russian game studio Ice-Pick Lodge and released way back in 2005. 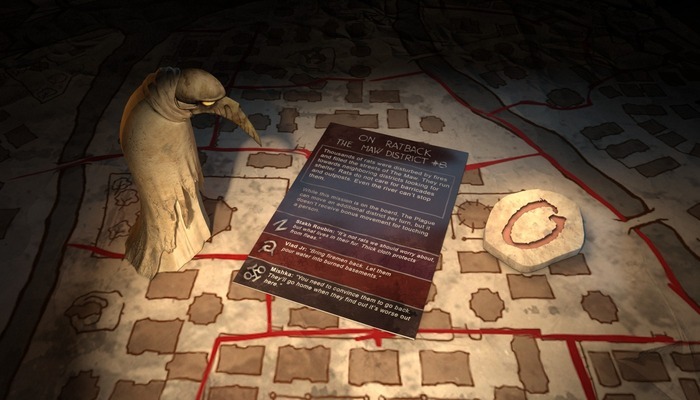 The open-ended survival game had players take on the role of three characters investigating a small town that is being wracked by a mysterious plague. 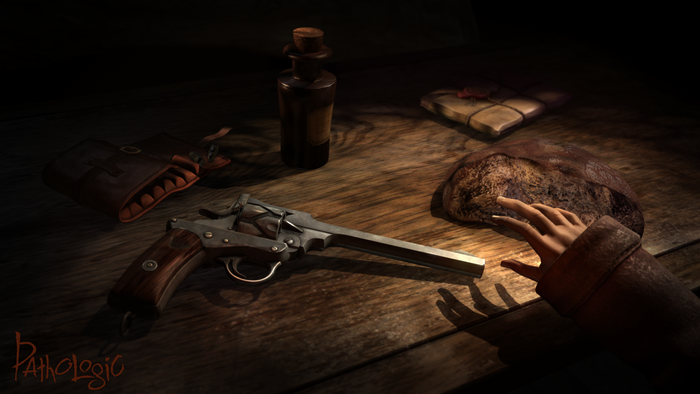 Limited by a set number of in-game days, players needed to manage scarce resources while trying to uncover the town's secrets. But, despite critical acclaim for its premise and atmospheric setting, Pathologic hasn't been considered more than a cult classic due to poor English translation and muddled game mechanics. Now, almost a decade later, the game's developers are tackling the ambitious project of remaking Pathologic into the large-scale, open-ended survival game they always wanted to make. One of the largest criticisms of the original Pathologic is how it was marred by some problematic game design choices that didn't provide quite the gameplay experience Ice-Pick Lodge wanted. For example, players couldn't run in the original game, because Ice-Pick found they'd be able to complete quests too quickly. With time management being an important gameplay component, developers had to hand-wave it away via the game's lore in a manner they weren't happy about. "The execution of the original Pathologic often hinged on time and budget constraints, not on how we really wanted to make this game work," said Alexandra Golubeva, a writer and translator for Ice-Pick Lodge, in regards to the older game's production. With more resources and experience, the team is aiming to fix and change many of the design problems that prevented the original game from reaching what they feel was its full potential, and hope to make a more robust experience. 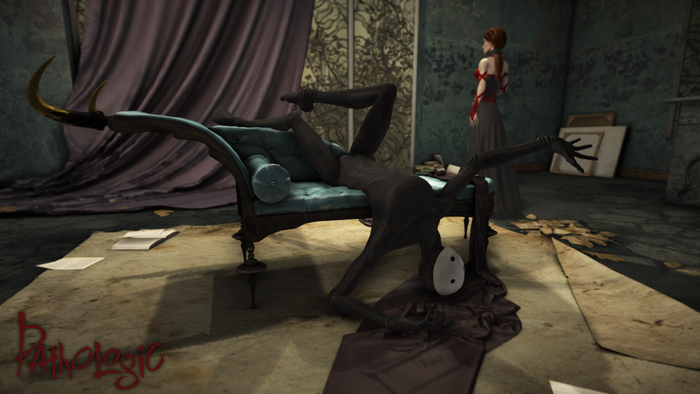 With its surreal visuals (brought to life by the game's art director) and its terrifying premise of going up against a plague with mysterious origins, Pathologic is dabbling in horror elements as well. But Ivan Slovstov, a game designer for Ice-Pick, clarified that Pathologic won't be your typical survival/psychological horror game like, say, A Machine for Pigs. 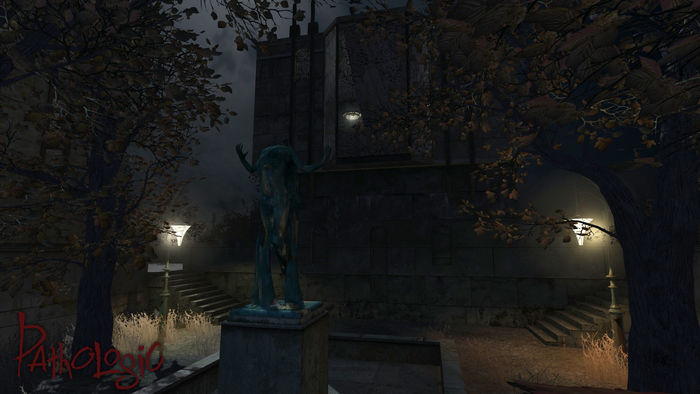 Players may encounter some supernatural happenings during their time exploring The Town, but the real horror comes from what Slovstov called the "normal" parts of the game world. Players will have to contest with real-life problems such as starvation, serious injury, or infectious disease on top of the reactions of The Town's inhabitants as the plague consumes their homes and neighbors day by day. A friendly NPC you walk by one day may very well try to steal from you the next, and although the plague victims you'll encounter look monstrous and can act unpredictably, Golubeva explained that the real terror is supposed to be "when you sit down in the comfort of a safe place and realize that all those people are human." That's just the beginningof the horror, as Golubeva mentioned there's also "social horror" to be found in The Town's more prominent characters. You may discover that the town's spiritual leader is more selfish than they appeared or that a member of the town's leading family that's been trying to help everyone is just as sleazy as the bandits that try to rob the player and other townsfolk. "That's when the real horror kicks in," Golubeva said of the Town and its inhabitants. "Do you even want to save a place so inhumane?" 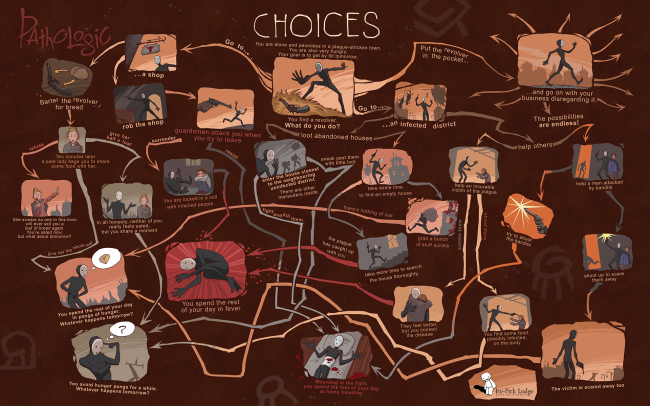 As with the original game, Pathologic will feature three characters to choose from, each with their own unique storylines, side quests, and differing personalities. Golubeva and Slovtsov detailed how the conversations you have with NPCs will differ based on which character you play, which will also affect what resources, locations, and reputation you'll have available. Bachelor, for example, is a government official from outside The Town that has access to a mobile science laboratory that can be used to research a cure for the plague, as well as the authority to quarantine entire districts. Haruspex is a local surgeon with an unorthodox way of making medicine through human organs and herbs, along with having a reputation for violence. The third character, Changeling, is a young woman with the power to heal with her hands and has a close relation to the Plague, but also has other mysterious attributes that Slovtsov declined to reveal since it risked spoiling her part in the story. When it comes to exploring the game world of Pathologic, there's only one real limitation - you simply aren't able to leave The Town. Other than that, how you survive your time in The Town is left up to you. You can enter any building and speak with every NPC you encounter, and will often have a direct impact on their lives. If you buy every item of food that a district's shopkeeper has in his store (or outright rob him of everything he owns), you may ensure that your character won't easily starve, but nearby townsfolk will, and they may resort to extreme measures to ward off their own hunger. You won't be able to outright kill plot-related characters, but you will have influence over their fate by neglecting to help them or inadvertently infecting them with The Plague. Plus, The Town will change from day to day, and it won't always be because of your actions (or inaction). Districts may get attacked by bandits, or quarantined when the plague spreads among the population. A store's prices may be driven up by inflation as supplies become limited, and a part of The Town hit by famine may become more dangerous than one affected by disease. Despite your best efforts, you yourself may somehow become infected by The Plague, which will lead to what Golubeva described esoterically as "unpleasant consequences." 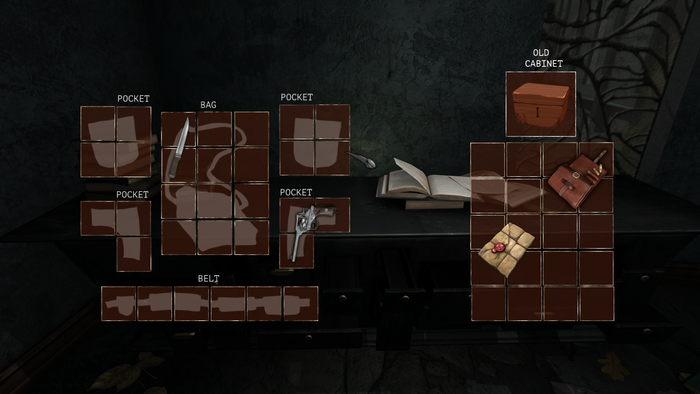 Through a constantly shifting game world, Ice-Pick Lodge's goal is to make Pathologic as engaging, mysterious and thought-provoking as possible, even if the player decides to skip through all the plot quests and dialogue. "Things are happening in the streets all the time," Slovstov said of the game's open world. "And you'll simply miss them if you're not there." While there isn't a solid release date for Pathologic just yet, those interested can vote for the game on Steam Greenlight as well as donate to the game's Kickstarter which has reached its goal and will be concluding this week.